Please inform Apartments Trbovic in advance of your expected arrival time. You can use the Special Requests box when booking, or contact the property directly with the contact details provided in your confirmation. Zambratija ( ~ 3.9 km ): 105+ accommodation units. Duba ( ~ 5.3 km ): 45+ accommodation units. Savudrija ( ~ 6 km ): 61+ accommodation units. Fiorini ( ~ 9.8 km ): 27+ accommodation units. Brtonigla ( ~ 10.1 km ): 16+ accommodation units. Buje ( ~ 10.7 km ): 38+ accommodation units. Beach Katoro, Umag ~ 0,9 km from Apartments Trbovic Gravel beach: ideal for families, recommended for young people, awarded with blue flag, with restaurant, with caffe bar, equipped with showers. Excellent choice of watersports. Beach Laguna Stella Maris, Umag ~ 1,5 km from Apartments Trbovic Gravel beach: ideal for families, awarded with blue flag, with restaurant, with caffe bar, equipped with showers. Excellent choice of watersports. Beach Aurora, Umag ~ 1,7 km from Apartments Trbovic Concrete beach: ideal for families, with restaurant, with caffe bar, equipped with showers. Excellent choice of watersports. Beach Sol Polynesia, Katoro ~ 3,1 km from Apartments Trbovic Concrete beach: ideal for families, recommended for young people, awarded with blue flag, with restaurant, with caffe bar, equipped with showers. Nudism is allowed. Beach Kanegra, Umag ~ 5,6 km from Apartments Trbovic Gravel beach: ideal for families, awarded with blue flag, with restaurant, with caffe bar, equipped with showers. Excellent choice of watersports. Restaurant Konoba Nono, Umag Guest reviews: 9/10 ~ 2,8 km from Apartments Trbovic Address: Umaska 35, 52470, Umag. Prices: 6 HRK - 162 HRK. Cuisine: Croatian cuisine. 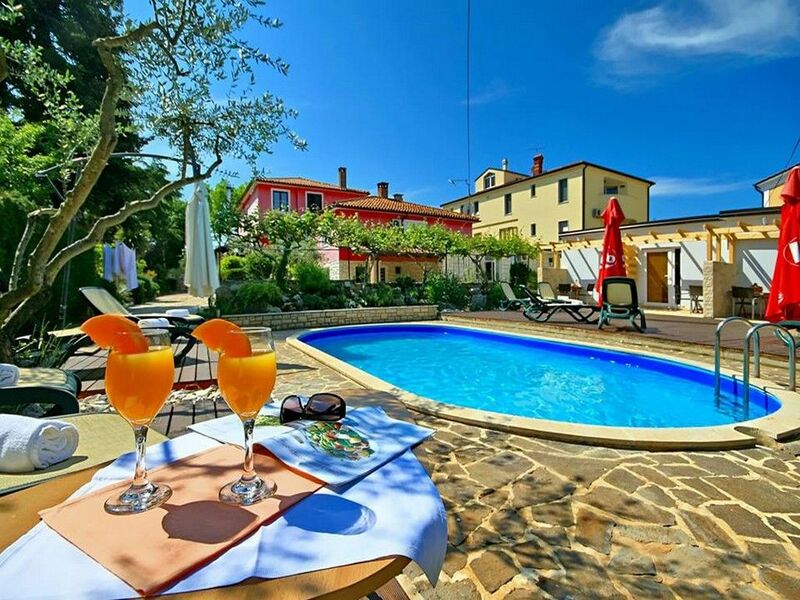 Restaurant Petrovija, Umag ~ 1,2 km from Apartments Trbovic Address: Petrovija 58, Umag. Prices: 123 HRK - 162 HRK. Restaurant Konoba Bifora, Umag ~ 1,5 km from Apartments Trbovic Address: Rijecka 39, 52470, Umag. Restaurant Konoba Volta, Umag ~ 1,5 km from Apartments Trbovic Address: Rijecka 41, Umag. Restaurant Gala Cafe, Umag ~ 1,4 km from Apartments Trbovic Address: Trg Slobode, Umag. Prices: 39 HRK - 84 HRK.